Human stories are powerful. But data are critical to show you the whole picture. That's why as cumbersome as it is in the state of Pennsylvania to work with Right-to-Know (RTK) requests, they are the source of big stories.In just a few months, we have easily filed 75 RTK requests. We spent $500 on records to tell you what lead and radon testing and remediation was happening in schools. We just wrote out a check for $800 to get records that will expose the root of the school-to-prison pipeline in Pittsburgh. PublicSource team is thrilled to have Chrystal on board. Her experience, skills and passion for our mission are exactly what we’ve been looking for to grow PublicSource. Reporter Mary Niederberger speaks about how she was affected by her reporting on youth suicide in Allegheny County and what she hopes people will take away from this story. She also talks about the special considerations she and PublicSource Managing Editor Halle Stockton took when deciding how to present the story because of its sensitive subject matter. Video: Are youth offenders in PA drugged into behaving? PublicSource reporter Halle Stockton explains her latest investigative series about the powerful psychotropic drugs that are being prescribed to Pennsylvania's most chronic or violent youth offenders. Explore the series. PublicSource reporters Eric Holmberg and Halle Stockton recently won a Truth in Finances award given by the Pennsylvania Institute for Certified Public Accountants. The awards honor reporting that clarifies financial issues or exposes fraudulent activities that affect the wellbeing of individuals, communities or companies in Pennsylvania. Back in the early 1970s, when Gene Roberts came from the New York Times to be the editor of The Philadelphia Inquirer, and it became clear that he was to transform the paper into an ambitious center of American journalism, those of us who were already there watched closely to see who he would bring in to make it happen. Roberts didn't tell us, directly, what he intended, of course. He was much too oblique in his methodology for that. And he knew that showing was far more effective than telling. 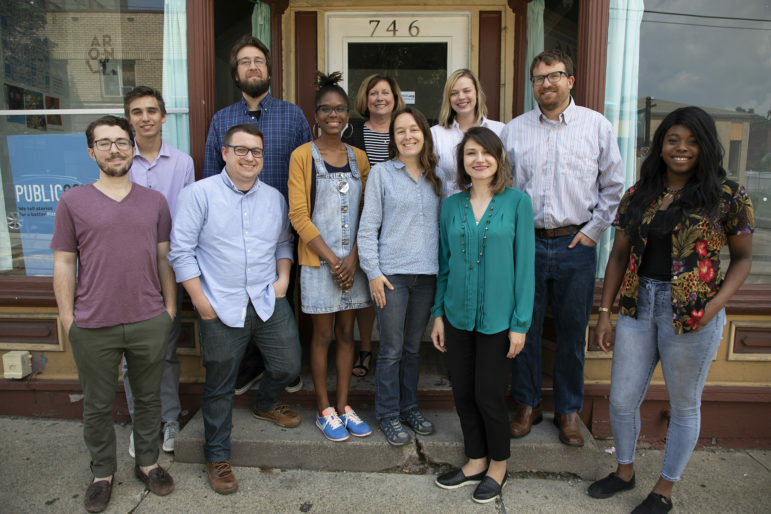 In our endless struggle to turn lemons into lemonade, we at PublicSource have tried to take advantage of our lack of staff and use it as an opportunity to try out new tools, experiment, see what works. And let me tell you, there are tons of tools out there. So many that the sheer volume can be daunting. So I’ve put together a short guide for how to approach this glut of data tools. Halle Stockton, a reporter with PublicSource for three years, has been promoted to managing editor. In her new role, Stockton will continue her coverage of healthcare, aging and people with disabilities. She will also be a frontline editor of stories by staff members and freelancers. Working in a small team has its ups and downs. Fewer people could mean less potential for miscommunication. But it could also mean a greater potential for delays because on a small team, each person takes on multiple roles. PublicSource is changing. You know us as a provider of in-depth and investigative news about Pittsburgh and the state.